Both me and my husband do not have a sweet tooth at all (except for those days when we sit and empty half a bucket of vanilla ice-cream), but once in a while after having our spicy Indian meals we crave for something to soothe our simmering taste buds. 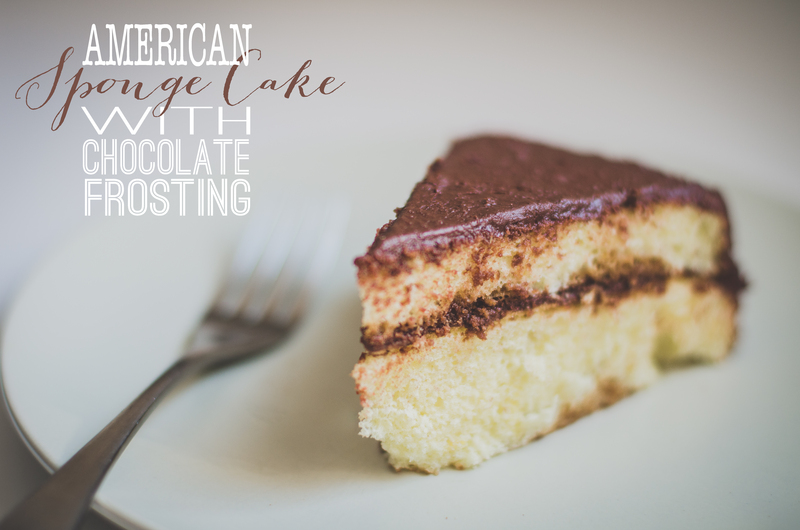 I have tried a version of sponge cake before, but this recipe is just the thing that we were looking for since it is not overly sweet and uses no fat, which makes it amazingly light and moist. It is complemented perfectly by whipped cream and fresh fruits but for the health conscious, it tastes great as it is without any frosting. Here is my take on this classic recipe for a 9″ cake. Preheat oven to 350 degrees F (180 degrees C) and place rack in center of oven. Have an ungreased 9 inch round cake pan ready. Separate the cold eggs, keeping the yolks in one bowl and the whites in another. Cover the bowls with plastic wrap and keep aside to bring them to room temperature. Meanwhile sift or whisk the sifted flour with the baking powder and salt. Place the egg yolks and 2/3 cup (135 grams) of the sugar in the bowl of your electric mixer, fitted with the paddle attachment or use an electric hand beater. Beat on high speed until they are thick, fluffy and light colored. Then beat in the vanilla extract, water, and lemon zest and set aside. In a clean bowl beat the egg whites until foamy. Add the cream of tartar or lemon juice and continue beating until soft peaks form. Gradually add the remaining 1/3 cup (65 grams) of sugar and continue beating until the egg whites are shiny and form stiff peaks. Next, sift the flour mixture over the beaten egg yolks (about one third at a time) and gently but quickly fold the flour into the egg yolk batter with a rubber spatula. Then gently fold the egg whites into the batter little by little, folding just until incorporated. Do not over mix the batter or it will deflate. Pour the batter into the pan smoothing the top. Bake in preheated oven for 28 -35 minutes or until a toothpick inserted into the center of the cake comes out clean. Remove from oven and immediately invert the pan on a cake stand or a plate. Allow the cake to cool completely before unmolding (about one hour). Run a flat metal spatula or sharp knife around the cake along the pan and unclip the pan rim. Invert the cake onto a greased wire rack. The cake can eaten plain or with fresh fruits and whipped cream. I tried mine with a chocolate frosting which turned out to be amazing. This entry was posted in baked, FOOD, Recipes and tagged Cake, classic sponge cake, dessert, RECIPE, sponge cake, weight watchers. Bookmark the permalink.